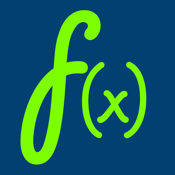 Sketch mathematical functions in an easy and comfortable way. Up to 8 graphs can be displayed at the same time. Various functionality like zoom-in, zoom-out, save graph in album, modify x&y axis are included. "Easy to use and useful App." d.t.